Notifications are an issue. We are overloaded with them. A long time ago computers were invented to do things for us. But now one of their primary purposes seems to be to sell us stuff or to get us to visit web pages or apps for longer (and of course that just leads to more advertising or selling). My phone now bombards me with so many notifications I have reached saturation point. I just don’t care any more and I’m suppressing all notifications for an apps at OS level without a second thought. It seems the latest onslaught seems to be the “no permanent opt out” UX anti-pattern which is starting to appear on websites, now that browsers are implementing notification APIs. Well, I’ve yet to change my mind. I’ve lost track of the amount of times I’ve now had to answer this question from Twitter. It has become beyond irritating. Provide full flexibility on the content of the dialog. The cornerstone is the DialogHost control. 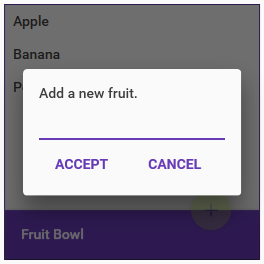 It’s a content control, meaning the underlying content over which the popup dialog will be displayed can be targeted; to a specific area of your app, or the entire Window content. When the dialog is open, the underlying content will be dimmed and disabled. RoutedCommand typically used from a button where optional content can be provided via the CommandParameter. Dependency property, to be triggered from XAML, set from code-behind or via a binding. Content must be set in DialogHost.DialogContent. Async/await based static API which can be used purely in code (for example from in a view model). Content can be passed directly to the dialog. RoutedCommand, typically used on buttons inside the dialog, where the command parameter will be passed along to the dialog response. Dependency property, to be triggered from XAML, set from code-behind or via a binding. The DialogClosingEventHandler delegate is key. It provides the parameter provided to DialogHost.CloseDialogCommand, and allows the pending close to be cancelled. Bubbling RoutedEvent, which could be used in code-behind. Attached property, which accepts a DialogClosingEventHandler which makes it easy to subscribe to the closing event in a more localized area of XAML. Standard dependency property which enables the a DialogClosingEventHandler implementation to be bound in, typically from a view model. The async response from this method returns the parameter provided when DialogHost.CloseDialogCommand was executed. As part of the Show() signature a DialogClosingEventHandler delegate can be provided to intercept the on-closing event, just prior to the close. More complete usage examples can be found in MainDemo.Wpf which is part of the Toolkit solution, primarily in MainDemo.Wpf/Dialogs.xaml. // Implementation of ProgressBar control. // Copyright (C) 2004 by Microsoft Corporation. All rights reserved. Okaaaayyy…so using the ever flexible WPF we are still taking something from 2004 and trying to theme it using 2015 design trends. Should be fun! There are a few TemplatePart’s which the code it expects – to draw a standard bar – but fortunately the control is also gracious enough to operate without them. ArcSegment.Point: This is where from the StartPoint we need to draw our arc around to. Again we’ll need ProgressBar.Minumum, .Maximum, .Value, and with the wonders of trigonometry we can figure this out. 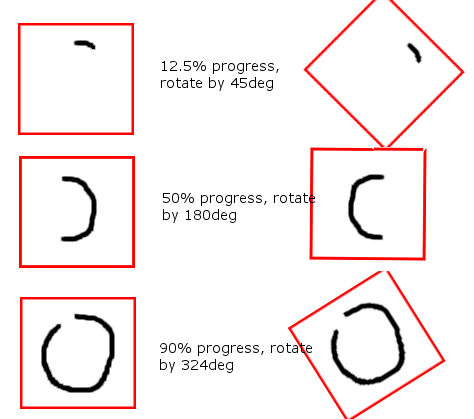 By applying a RotateTransform to the Path itself, and using yet another converter to calculate the rotation according to the percent of completion we can pretty close to the Google effect. To see it in action run up the demo project which is part of the main source. 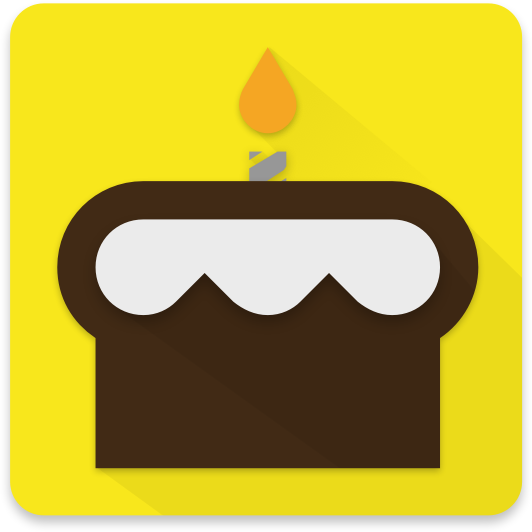 Version 1.0 of Material Design In XAML has arrived! Well, this project kinda came out of nowhere, but has proven to be pretty popular and I’ve really enjoyed getting it to this state: version 1.0! It’s officially a non-alpha, non-beta, totally live thing!! I’ve cranked up my contributions over the last month to push it over the line for its for first official release, recently adding runtime palette switching via the PaletteHelper/Swatch API, a new ColorZone control to help you design your layouts, and more granular control of ripples and shadows. A few styles and animations have also been tweaked to really improve the look and feel. To go with version one I’ve completely re-worked the demo app, as illustrated in the video. It’s really worth checking, it might just give you some inspiration for your WPF apps! And if you haven’t seen I recently launched a new home page for the project: materialdesigninxaml.net, which includes a Get Started section. There’s still plenty more to come for both Material Design In XAML and Dragablz but I will be treating myself to a little break for a week or two! Open source doesn’t have to just apply to code. I’ve been applying my XAML skills to Material Design In XAML Toolkit to help other developers quickly craft good looking user interfaces in WPF. I’m pretty happy with the results, and in some of my own projects I’ve produced some striking applications using the toolkit. Despite doing this, I readily admit I’m no designer. For such a visually focused code library I really wanted a logo, but knew I could never do the task justice. So I threw the task out to the community. Sam or “snalty” can be found on Twitter, and you can see some of his other designs on his blog. 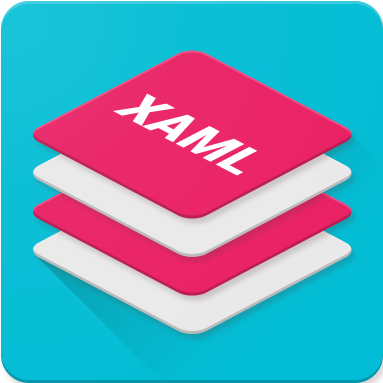 In summary, a great bit of collaboration helping to push Material Design In XAML Toolkit further along.